Besides technical problems like screen tearing, poor performance, clunky controls, and a host of other issues, another problem that games can suffer from is bad level design. It usually isn't even the level design of an entire game, perhaps just a level itself. 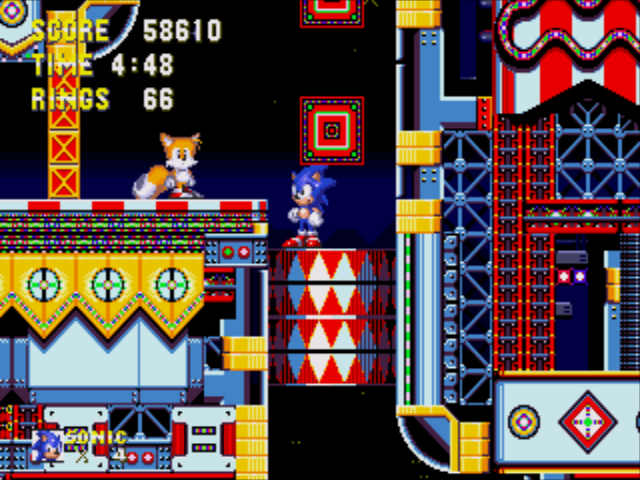 As you'll see with this edition of Bad Levels in Gaming History, even some of the better games out there can suffer from one or two annoying, tedious, or just not-fun levels. 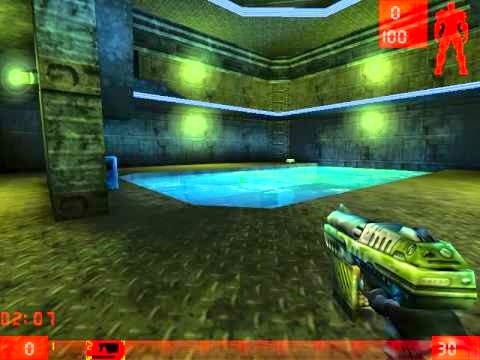 With the alpha of Unreal Tournament's newest incarnation available for PC players to fool around with, it seems like a smart chance to talk about the first UT game. 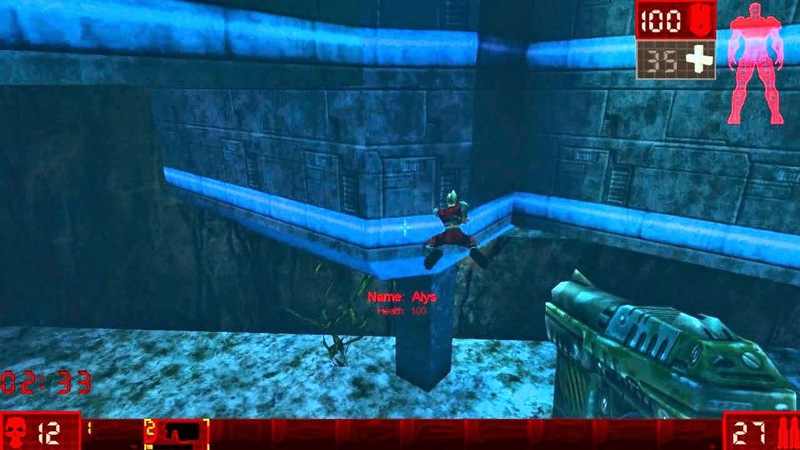 Assault in Unreal Tournament is a fantastic mode which has one team serving as the attacking team and one team serving as the defensive team. The attacking team has to complete a series of objectives, usually to encroach on the defensive team's turf or destroy something important. Meanwhile, the defensive team obviously enough has to prevent the attacking team from accomplishing their goal(s). Both teams get a chance to serve on both sides, and the team that completes the attacking part of the mission the fastest is the one that is determined as the winner. Nearly all of the maps of Assault in Unreal Tournament are well designed for this type of setup. All but one, in my opinion, and that's the Ocean Floor map. Even if you're just playing against the AI, you can easily get wrecked regardless of what side you're on. The attacking team starts in a base overlooking the underwater complex which houses a series of four terminals that must be destroyed. You have to leap into the ocean, swim through the depths, and reach one of two entrances into the complex where auto-turrets and most assuredly your enemy awaits. Die, and you have to spawn all the way back at your base, being forced to slowly swim back towards and into the underwater compound. On defense, the offense from the other team can be instant. Facing the AI, you can quickly find yourself with all of the terminals destroyed before you get a chance to blink. Okay, that's an exaggeration, but that's what it feels like. 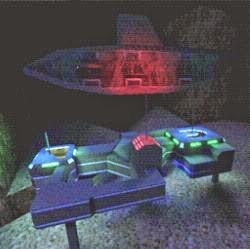 Ocean Floor is one of the only maps in Unreal Tournament that feels heavily lopsided in favor of the attacking team over the defensive team. It's what makes it a disliked map of mine that otherwise has a cool setting and architecture. Now, now. Weapons down, ladies and gentlemen. The Legend of Zelda: Ocarina of Time is without a doubt my favorite video game of all time. It is just a ticket to masterful game design... well, except one place in the game, and that's a dungeon that even the director of the game has apologized for. 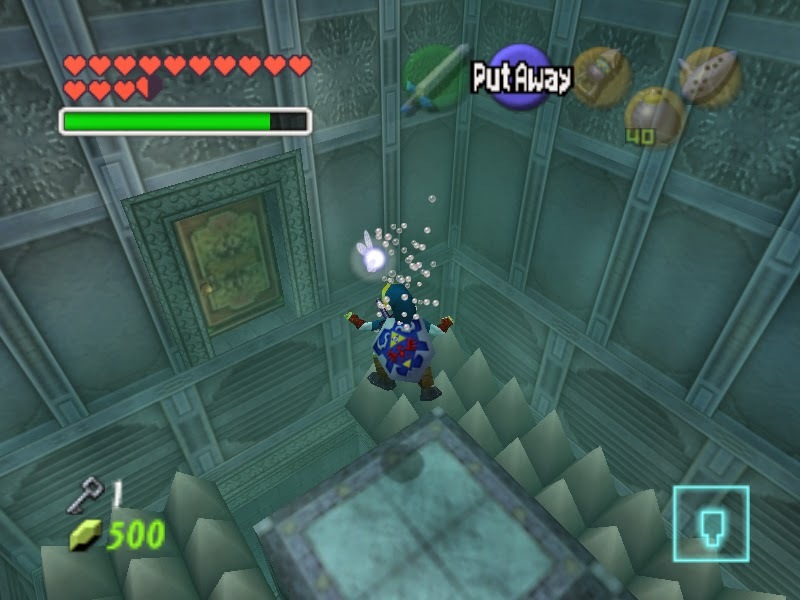 Yes, I'm referring to the Water Temple, a dungeon within Ocarina of Time that suffers from two annoyances that pop up multiple times throughout Link's journey through its depths. The first is the need to raise and lower the water level of the dungeon on various occasions to make the floating platforms rest where they need to. A bigger pain in the rump was the need to constantly switch between having the Iron Boots equipped and having them unequipped to Link. This process was further made aggravating by having to enter the pause menu to equip and unequip respectively. When you're being forced to equip the Iron Boots so much to sink down into the watery depths, the time wasted adds up. 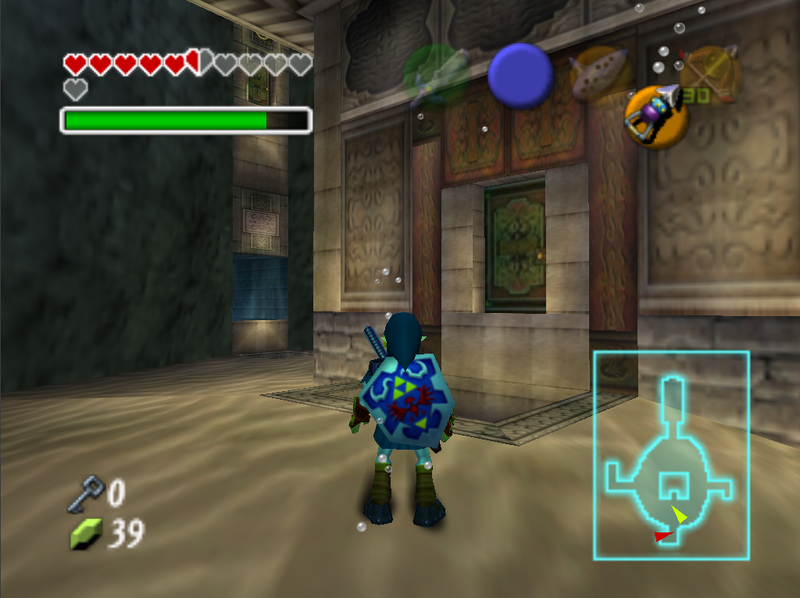 Both of the Water Temple's main problems were rectified in what I consider the definitive version of Ocarina of Time, the Nintendo 3DS remake. Not only are the paths to the places where the water can be raised and lowered displayed with color-coded lines leading to them, but now the Iron Boots are like any other item that can be put on and taken off with a tap or touch of a button. Now, that's progress! 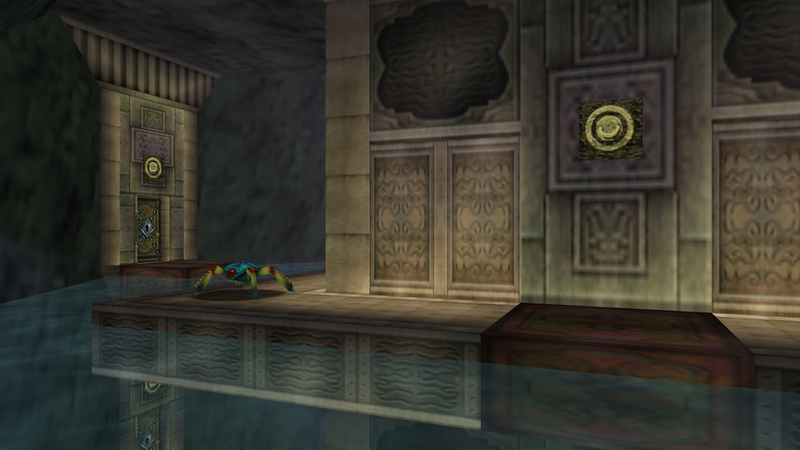 It makes what was an otherwise overlooked part of Ocarina of Time's Water Temple design no longer an issue. It's an ugly note in an otherwise near perfect gem of a Genesis game. Carnival Night Zone as a whole has a multitude of red and white barrels throughout it. However, the only one that is absolutely necessary to pass is near the end of Act 2. Nowhere in either act does the game display how to pass them. What occurs, then, is that players will try an assortment of tactics to pass by this dreaded stopping point for many a-player. The most popular is to jump up and down on the red and white barrel. Seeing a tactile response in the barrel beginning to bounce up and down, it only makes sense to continue this strategy. However, one who continues this practice will cruelly never get that their incessant jumping on the barrel is for naught. It's simply not the right way to get passed this obnoxious obstacle. Instead, what you're supposed to do, as part of one of the most counter-intuitive gameplay mechanics I've witnessed, is hold up on the d-pad and then hold down, alternating between the two. Instant death. That's what the final stages of Mega Man X6 award its players with after eight long stages that were just as awkwardly crafted and sometimes designed in such a way that are just offensive flat out. Gate's Laboratory is a series of three stages that fill players with nothing in the way of fair difficulty, instead going for total cheapness. It's as if the developers and designers of Mega Man X6 had to be coaxed into creating the game kicking and screaming, and their ultimate revenge for this dishonor was making Mega Man X6 hellishly difficult in a myriad of unfair ways. Spikes lining the walls, requiring pixel perfect jumps to avoid them? Got 'em. Enemies just placed at random locations and in great numbers? Got 'em. Blind jumps that only a psychic would know about? Got 'em. Finally, multiple challenging bosses that don't give you any sense of accomplishment in beating them? Yep, you guessed it. Got 'em. It says something about Gate's Laboratory 2 when it's actually quite possible to be unable to progress in the level if you're the wrong character in the wrong armor. There is a jump that many call a leap of faith that is impossible to make if you're playing as X and you're not equipped with the correct armor. That alone speaks the loudest about Mega Man X6's problematic level design, and Gate's Laboratory stages are a crash course in bad design. NES games are known for being something called "Nintendo Hard", and up until the final level in the Mega Man-inspired Whomp 'Em, the difficulty of the game is rather fair. When you reach the final level that our Native American hero has to deal with, you'll be asking for a dreamcatcher to catch this nightmare of a level so you won't have to ever contend with it ever again. Let's start where we should-- the beginning. You're in the sky with several clouds serving as the platforms of the first part of the level. Some of these are storm clouds and will unleash on our hero a shock to his system. That's not all, however, as there are columns that must be maneuvered around, too. Oh, and don't forget the enemies that can come out of nowhere and pass through these otherwise solid objects. After a vertical section of scaling small and short cloud platforms, the second floor of this final level is made up of columns of ice, more clouds, and more enemies that can quickly come out of nowhere to damage you. 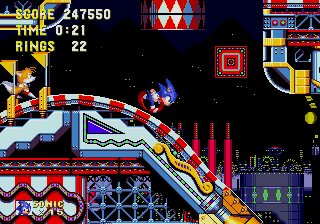 To add to the player's misery, falling down at this section of the level means you have to start from the first floor, going through that hot mess all over again. By the time you reach the third floor of Whomp 'Em's final level, the game throws in an entirely new gimmick with no time for preparation given to the player. You have to immediately learn how to propel yourself with the protagonist's primary weapon, a staff, through an area with no gravity. This is all the while defeating or completely avoiding enemies. Very hard to do when you haven't mastered a totally brand-new game mechanic that is thrust onto you. Then, there's the final boss, which is weak only to one weapon which takes off a bar of health each and every time you use it. If you don't decide to use the boss's weakness against him, prepare for an incredibly difficult battle, as the boss will use near impossible attacks to dodge. No matter how you slice it, Whomp 'Em's final level is a blight and a horrid note to end on for an otherwise competent and capable Mega Man clone. It is marred by poor design, unfair challenges, and a mechanic that comes out of nowhere for the player to be forced to somehow master.